On the south side of Skopelos you can find the rocky island of Jura which is currently uninhabited. 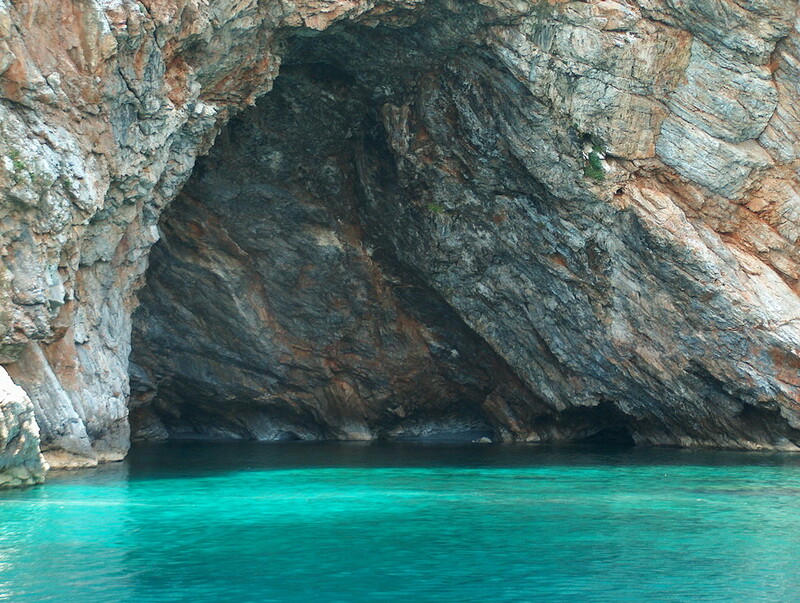 There, in 1992 and at an altitude of 150 meters, Adamantios Sampson discovered the hidden until that time cave of Cyclop, which is the largest one in Northern Sporades. The dimensions of the first chamber that appears after the entrance are about 60 x 50 meters and its height reaches the 15 meters. In its interior, beautiful stalagmites and stalactites are created and are scattered throughout the cave with different formations and shades. Certainly, the development of natural decor has stopped for several years. Remains of different eras were found in the cave and as such, its excavation was decided in 1992 and was completed in 1995.The results of this expanded research gave valuable information about the Mesolithic era that did not exist anywhere else. 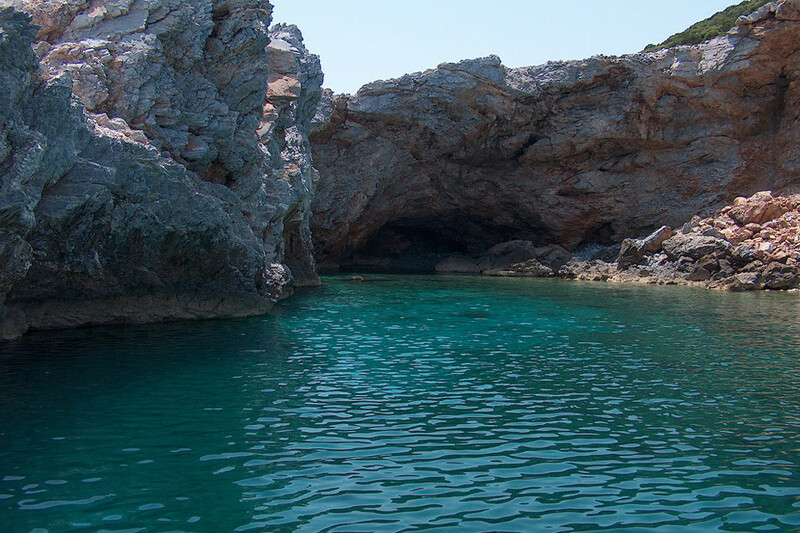 Finally, the cave of Cyclop and the island of Jura in which the cave was found have been declared as Nature Conservation Areas, as they constitute the shelter of many endemic species of flora and fauna and is the home of the Mediterranean monk seal (Monachus Monachus).